Power plants everywhere generate electricity by converting mechanical power such as the rotation of a turbine into electrical power. In a coal-fired steam station, the combustion of coal turns water into steam and the steam in turn drives turbine generators to produce electricity. Power plants today rely either on fossil fuels, nuclear fission, or renewable sources like hydro. We're not there yet, however. 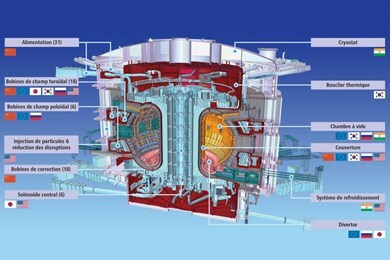 The operation of ITER will allow the ITER Members to test long-pulse operation and the many required technologies at reactor scale, but the machine won't be equipped to produce electricity. More here. 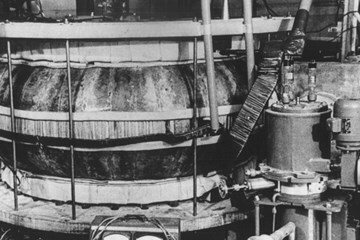 Which was the first "tokamak"—or was it "tokomag"? 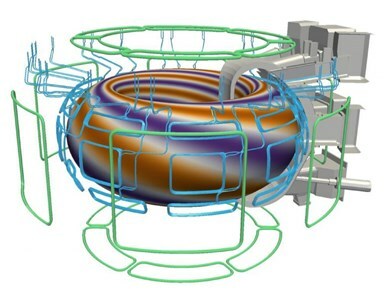 The heart of a tokamak is its doughnut-shaped vacuum chamber. 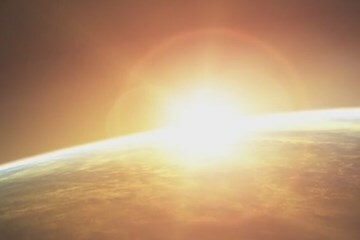 Inside, under the influence of extreme heat and pressure, gaseous hydrogen fuel becomes a plasma—a hot, electrically charged gas. 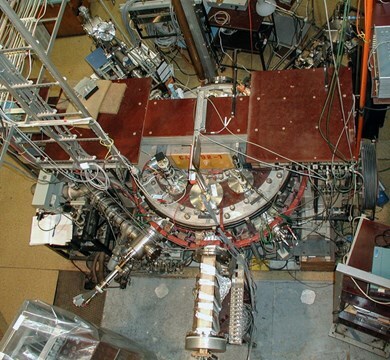 In a star as in a fusion device, plasmas provide the environment in which light elements can fuse and yield energy. 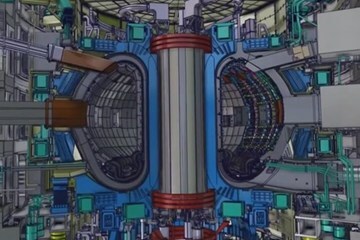 The charged particles of the plasma can be shaped and controlled by the massive magnetic coils placed around the vessel; physicists use this important property to confine the hot plasma away from the vessel walls. 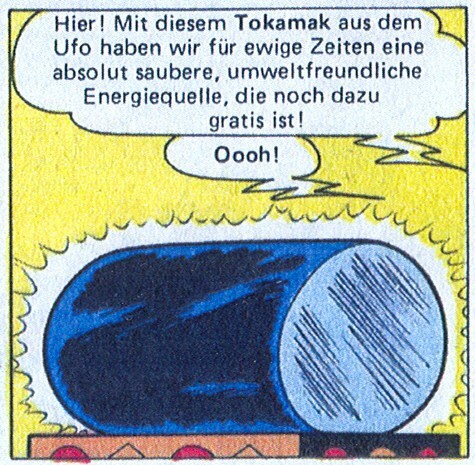 The term "tokamak" comes to us from a Russian acronym that stands for "toroidal chamber with magnetic coils" (тороидальная камера с магнитными катушками). To start the process, air and impurities are first evacuated from the vacuum chamber. Next, the magnet systems that will help to confine and control the plasma are charged up and the gaseous fuel is introduced. As a powerful electrical current is run through the vessel, the gas breaks down electrically, becomes ionized (electrons are stripped from the nuclei) and forms a plasma. As the plasma particles become energized and collide they also begin to heat up. Auxiliary heating methods help to bring the plasma to fusion temperatures (between 150 and 300 million °C). Particles "energized" to such a degree can overcome their natural electromagnetic repulsion on collision to fuse, releasing huge amounts of energy. 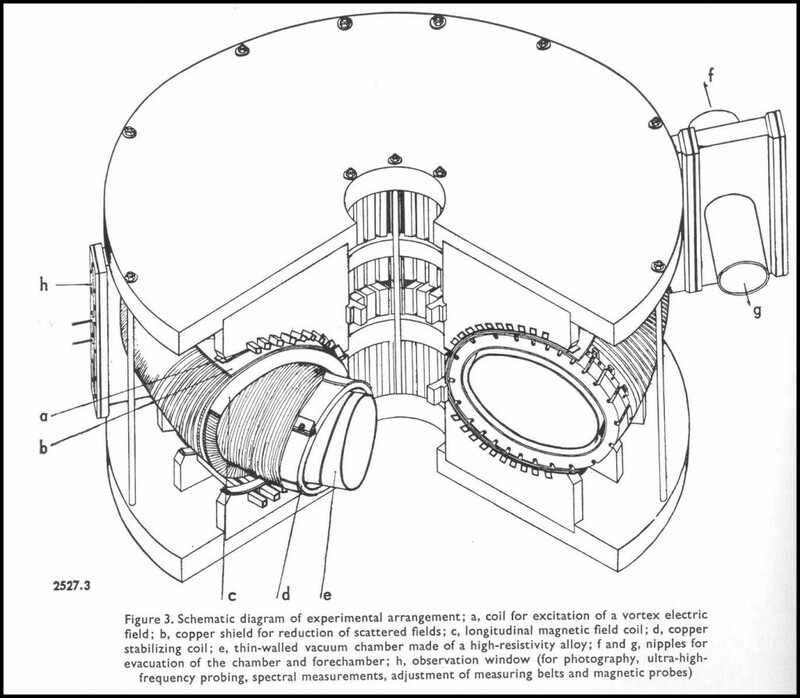 First developed by Soviet research in the late 1960s, the tokamak has been adopted around the world as the most promising configuration of magnetic fusion device. 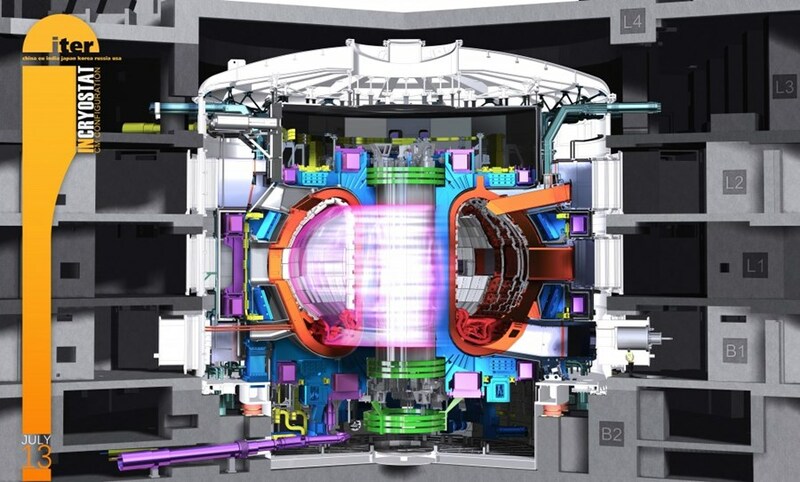 ITER will be the world's largest tokamak—twice the size of the largest machine currently in operation, with ten times the plasma chamber volume.